An opportunity to team up with the UK government and join a smart cities trade mission to China has opened up for British ITS businesses this summer. 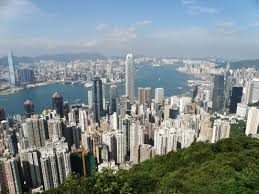 Innovate UK, the Department of International Trade, the Future Cities Catapult, the China-British Business Council and 100%Open have announced an entrepreneur mission to the Greater Bay Area – a cluster of 11 cities across the Guangdong – Hong Kong – Macau region. UK companies operating in intelligent transport and mobility, as well as a host of other key urban sectors such as spatial planning and design, open data, sustainable development and regeneration and pollution and remediation, are in with a chance of joining the mission. Up to 15 UK companies have the chance to benefit from a tailored and supportive mission programme in November, consisting of high-level presentations, discussion sessions, pitching and networking opportunities and site visits. Participants are supported through a readiness workshop and personal coaching. For more information please contact Kadir at futurecities@100open.com or click here to be taken to the online application platform.